Our most popular size button! These 3" Round buttons are the perfect size to get your message across! Running an in-store contest? Looking for new hires? Opening a new location? These buttons will make sure everyone knows about it. Your custom design is digitally printed in full-color and the price includes a safety pin. 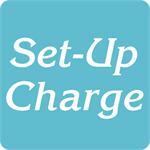 Logos: Require a set-up charge of $40.00. For bulldog clips, add .24 each.